A sparkly tale of dance, struggles and stardom, written by an icon who’s been there and done it. Bravo! Find out what it’s like to actually live the dream in this glittery new series by a former Pussycat Doll. Billie is twelve, and she dreams of being a ballet dancer. But things aren’t easy, and her mum struggles to make ends meet. Billie’s dad died when she was little, and it’s only through dance that she can express herself. Now she has an audition at WEDA – a world-famous modern dance school run by the inspirational Miss Murphy. Will Billie get in? Will she excel? 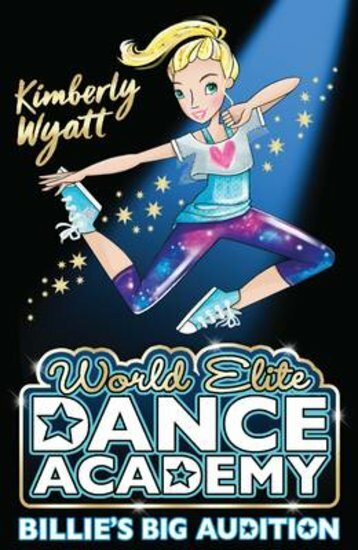 And how will she survive on the super-amazing – yet super-scary – road to dance stardom? Billie's Big Audition - Colour Billie in!